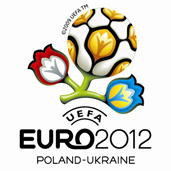 More medium-class hotels will be built in Poland in preparation for the 2012 European Soccer Championships. Jozef Ratajski from the Polish Tourist Chamber said that the country lacked a sufficient network of rationally priced two and three-star hotels. Andrzej Saja from the Polish Hoteliers’ Economic Chamber pointed out that medium hotel construction would probably be a rising market in coming years. The Championship will certainly be a promotional impulse for Poland, Saja remarked. At the moment there are over 1,320 hotels in Poland. Poland and Ukraine were chosen to co-host the European Championship soccer tournament in 2012. They will co-host the soccer tournament for the first time in history.